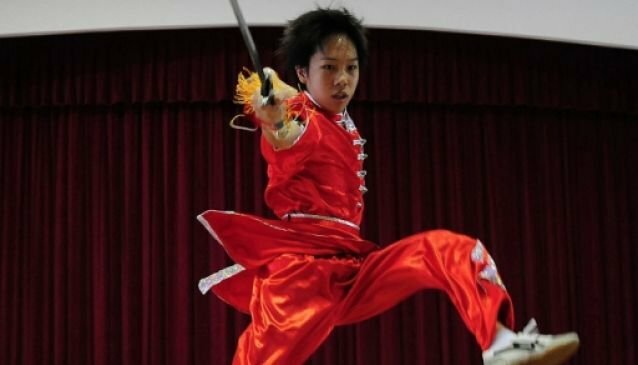 The sport of wushu build strong and healthy bodies, it also help students to understand more Chinese culture at the same time strive to improve their agility, confidence, determination, endurance, perseverance ,team work and leadership. Sino Wushu is a registered member with the 'Singapore National Wushu Federation'. We are also appointed as 'wushu training coach' for several schools in Singapore. We have trained more than 200 students whom either represent Singapore or their schools. We are proud to present our profile as one of the most outstanding wushu training centre in Singapore. Their in-door training floor of 5000 square feet at Katong and 3000 square feet at Thomson were setup to meet the standard of professional martial arts training and competition. They have 3 sets of carpet which are specially imported from martial art manufacturer in China, to provide students with the exact environment in competition.